When there’s a need for the highest measures of security, you need high-security locks and keys. usually required on commercial properties. Why so? Because commercial properties are usually filled with critical information, data, and all other sorts of assets. if you need a commercial locksmith then A1Locksmith is your best bet. 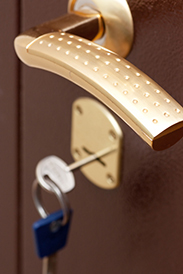 We are the best locksmith in Toronto, Ontario as we have been in business since 1987. Our nearly three decades of experience sets us apart from all other locksmiths in Canada. Simply put, when you need high-security locks and keys on your commercial property or even residential property, you can come to us and we will get you the highest quality of these security measures. We ensure that all of your concerns are answered straight away. A representative awaits you at 647-557-6403.